A Buckeye Girl Reads: Author Interview & Giveaway with Ellis Drake! Author Interview & Giveaway with Ellis Drake! Please help me welcome Ellis Drake, one of my favorite mystery writers to A Buckeye Girl Reads! 1. What is the funnest or hardest part of writing mysteries? The most fun part is being able to make up my own world and characters and tell their stories. The hardest part is making the characters interesting and sympathetic, creating a mystery that's actually mysterious, and pulling it all together into a compelling story. But that's also part of the fun, too! 2. What are your favorite type of villains? I do enjoy a good female villain. Who doesn't? I love it when villains are so deliciously evil you can't help but secretly root for them—like Lady de Winter from The Three Musketeers or Lady Audley from Lady Audley's Secret. 3. Do you have a favorite among the books you've written? That's a tough question! I like all of them for different reasons, but at the moment The Lonely Hipster is probably my fave because I had so much fun writing it and I love the main character, Adam. 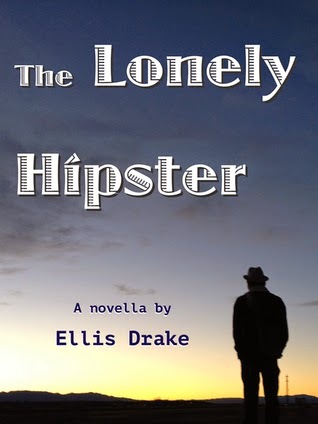 One e-book copy of The Lonely Hipster! Stantonville is a small town where everyone knows everyone else and they all get along—or do they? Adam McGill, Stantonville’s lone hipster, gets a lot of flack from the other residents for being lazy and suspicious. So when the town’s wealthiest resident, Peter Stanton, is found shot with a note that reads “McGill” in his hand, suspicion immediately falls on Adam. And the police aren’t the only ones he has to worry about—he's also being followed by the people who actually shot Stanton! With the help of the cute barrista in Stantonville’s lone coffee shop, Adam needs to find Stanton's shooter—and move out of his mom’s basement—before he winds up in prison. Or worse.